I hope you enjoy looking through my card and print designs of Australian native flora and fauna. 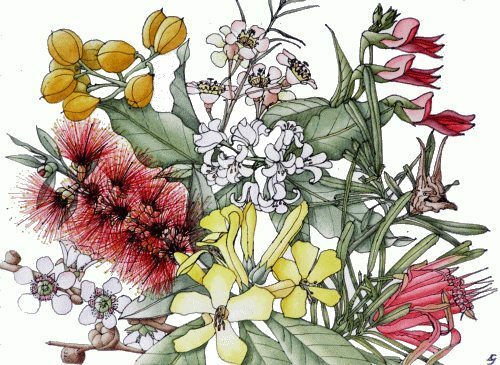 Most of my artwork is based on Australian plants and creatures, although I have also produced a set of English flower cards, since that is where I originally come from. All the designs are from my own observations of just a sample of the numerous varieties of flora and fauna, which exist in our amazing world. I have combined my botanical art and printmaking skills in an attempt to illustrate the beauty and intricate detail of the many living things, which sometimes appear insignificant, but on closer inspection can be seen to have incredible shapes and colours. A percentage of all profits from the sale of my cards and prints will be donated to Compassion Australia.